Ancient Celtic settlements in Western Asturias. 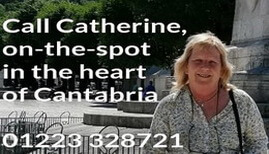 Holidays in Northern Spain with Casas Cantabricas. 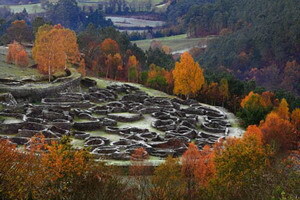 The fortified Celtic settlement in Coaña, just west of Navia, is one of the most important in Asturias. The didactic centre shows the evolution of ancient Celtic settlement culture from its beginnings up to Roman times when gold exploitation took on a decisive role in the area, the Romans transporting gold back to Rome from the Navia Estuary. The Celtic settlement is made up of 80 huts, a sacred room and an acropolis. There is a collection of household tools used at that time and also a significant collection of Roman tools. In nearby Pendía there is another ancient Celtic settlement to complete a very well worthwhile visit. The sites are open all year everyday except Monday.